Engility has received a potential five-year, $39 million contract to provide integration, engineering and cybersecurity support for a U.S. Navy network of ships and systems. The company said Tuesday it will support the Space and Naval Warfare Systems Command’s program executive office for command, control, communications, computers and intelligence in efforts to build a consolidated technology platform baseline as well as integrate network and communications systems for U.S. Coast Guard and Navy fleets. 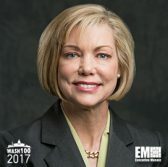 “Engility will deploy domain expertise in cybersecurity and enterprise modernization to assist the Navy in IT service delivery, cyber technical leadership, fleet operations and C4I systems,” said Engility CEO Lynn Dugle and an inductee into Executive Mosaic‘s Wash100 for 2017. PEO C4I works to design, integrate, test and deliver interoperable technologies for Navy and Coast Guard. The company booked the cost-plus-fixed-fee contract in the second quarter of 2017 and noted the contract has one base year along with four option years.